The Twins have had a bit of success in recent years with four-year college draft picks. Brian Dozier played four years at Southern Mississippi before the Twins made him their 8th round pick in 2009. Mitch Garver played four years at New Mexico before the Twins made him their 9th round pick in 2013. Hey, Trevor Hildenberger spent five seasons at Cal-Berkeley, and didn’t pitch much until his last two years, and the Twins made him their 22nd round pick in 2014. In the 2018 MLB Draft, the Twins selected several more college seniors and will now give them the opportunity. 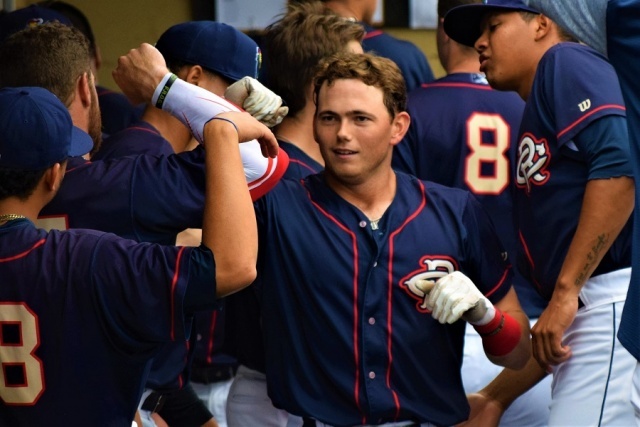 While Chris Williams (8th round, Clemson) was our choice for short-season Minor League Hitter of the Year for his work in Elizabethton, 24th round pick Michael Davis made a strong first impression in the Twins organization this summer. Could he be one of those seniors who gets pushed and winds up in the big leagues? Time will tell. Recently we caught up with the shortstop to get to know him.Michael Davis grew up in west Texas, in the city of Lubbock. That is football country, to be sure, but there is a lot of great baseball. In fact, Davis noted that the Little League team the year before him went to the Little League World Series. His team finished one game shy of playing in Williamsport. Davis played some football into his high school years, but it was baseball that he loved. It was baseball that he loved to play, all the time. Out of high school, Davis had some thoughts of going to a junior college. He had several offers and often thought it might be fun to leave home for a bit, but in the end, he stayed right in Lubbock and played four years for Texas Tech. As a freshman, he was a part-time player, splitting time around the infield. As a sophomore, he earned playing time nearly every game. He responded with a 20-double season. Teams told him that there was a chance that he could be drafted. Unfortunately, a late-season injury cut his season short and he ended up going undrafted. He returned for his senior season and really put together a terrific season. He hit .281/371/.524 (.895) with 18 doubles and 12 home runs. The 12 home runs was one more than he had hit over his previous three seasons. But even more than his individual success, Texas Tech returned to Omaha to play in the College World Series. It was a great way to end his college career. The Twins liked him and took him in the 24th round of this past June’s draft. At that point, it was a bit of a whirlwind for awhile. Following the College World Series, Davis signed. He went to Ft. Myers briefly before joining the Elizabethton Twins. He played just three games for the E-Twins before being promoted to Cedar Rapids where he was able to spend the final seven weeks and the playoffs with the Kernels. Shortly after his arrival, the Kernels went on a bit of tear and carried it into the playoffs where they won a series before losing in the Midwest League Western Division championship series. After doing a lot of winning at Texas Tech, being part of a winning team in his professional debut was something Davis really enjoyed. While he struggled with some swing-and-miss early in his time with the Kernels, he really turned it on late and provided a lot of power near the bottom of the lineup. In his 42 games in Cedar Rapids, he hit .294/.327/.559 (.886) with nine doubles, a triple and nine home runs. The increased power that he showcased in his senior season at Texas Tech carried over into his pro debut. He credited his maturity and adjustments in college, but also showed appreciation for his Kernels coaching staff. 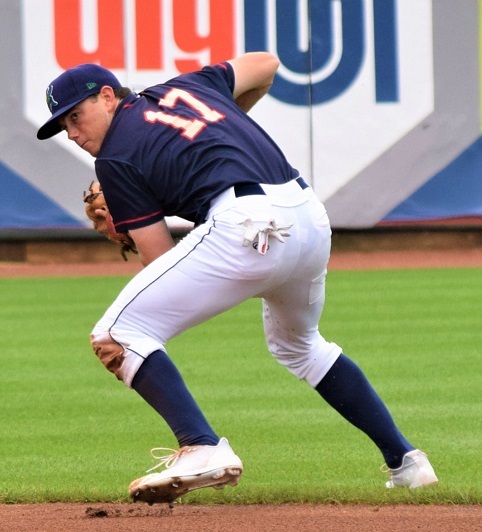 After playing around the infield in college, primarily at second base, Davis stepped right into the Kernels lineup at shortstop and played there the rest of the season. He thinks that his defense might be his biggest strength right now, but he also thinks his time at Texas Tech has really prepared him for this next challenge, professional baseball. But it will also be important for him to play around the field and provide himself, and the organization, with options to keep him moving on up. It is middle infielders that Davis enjoys watching and tries to emulate as well. Davis is looking forward to his first offseason from baseball. It’s not something that college players are really used to. He’s got a lot of questions on how to handle his time off, but he’s got the right idea. And in his spare time, his time away from the game of baseball, Davis enjoys doing something that a lot of Minnesotans can relate to. 2018 was a pretty special year for Michael Davis. He returned to college and played in his second World Series. He was drafted in the MLB Draft. He played really well in his pro debut and helped a winning team. It was certainly a nice block upon which to build. Nice write up Seth!! Sounds like a well grounded kid that will be interesting to watch develop. I'm curious how the discussion about Royce Lewis went, did you ask him about it or did he bring it up?? Thanks, Seth.Sounds like the Twins may have found a diamond in the rough.And his first year of development went about as good as anyone could have hoped for.Well, almost as it would have been better had he played another four or five games in September. Curious if he got to know Larnach while in Omaha? Thanks for the write up Seth. I really appreciate these types of articles on the new players because there isn't a lot of info out there on later draft picks. Great stuff Seth. What a pleasant surprise this guy has been. Sounds like he takes pride in his defense, takes to coaching and we saw that he's got some pop in his bat. You don't see a ton of 24th-round picks make it, but this isn't a guy I'm going to bet against. Wonder if they'll move him up a level next year? At his age, he needs to move up fairly rapidly. But that power potential in the middle of the infield is tempting! And if he can play some 3B as well, the positional flexibility would add to his value. Royce is a top prospect, with no denying, and I'm a HUGE fan of his, but I think the Kernels defense at short got a little better when Davis came up.It was nice when Miranda got bumped up and Helman stepped up.Didn't miss a beat with the Davis/Helman combo. You don't see a ton of 24th-round picks make it, but this isn't a guy I'm going to bet against. Being an underdog fan, I appreciate late rounders getting opportunities and making the most of it.The Sally League had a 20th rounder get player of the year in 2018 in Casey Golden (who actually played with Jeffers at Wilmington). Seth, I really enjoy your write ups about the Twins minor league prospects. Thank you. I think he starts back in Cedar Rapids, but he could move up quick. Two things... Royce will (most likely) start in Ft. Myers. Wander Javier will be back next year and he'll play in Cedar Rapids. Now, they could give Javier the month of April in Extended Spring to keep his shoulder out of the cold. At that point, maybe they'd be ready to move Davis up to FM, and maybe that's when Lewis moves up to AA (wherever that may be). And there's no rush. Dozier was an 8th round senior sign and he was in the big leagues 2 years after being drafted. That's moving up the system pretty quickly... Not sure how Davis compares to Dozier talent or scout-wise, but whether he gets to the big leagues at 24, 25, 26, doesn't matter a whole lot.
. Not sure how Davis compares to Dozier talent or scout-wise, but whether he gets to the big leagues at 24, 25, 26, doesn't matter a whole lot. I bet it matters a whole lot to Davis. Davis is an extreme long-shot to make the Majors at all, so I doubt he'd be too upset about making it more slowly than some other guys.